Some people may ask will profit maximization always result in stock price maximization? Profit maximization does not always result in stock price maximization, because profit maximization can only ensure higher earnings per share not the increased value of a stock. Profit can be manipulated by the managerial actions, like reducing operating costs through hampering the normal flow of actions. Suppose managers want to show a higher profit this year, to do this they reducing operating expenses by not entertaining repair and maintenance of machines. So the cost of repair and maintenance saved. This definitely increases the profit of the organization but in the next year, the company has to spend higher operating cost for repair and maintenance which will ultimately reduce the profit. Here manager’s action increases the profit of the firm but it will not maximize the price of stock because there is no increase in operating efficiency. So it is clear that more earning per share does not ensure price maximization of stock in the market. Actually, wealth maximization can create a positive effect which helps to maximize the price of the stock. 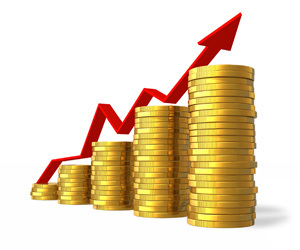 Tagged Profit Maximization Always Result in Stock Price, stock price maximization, wealth maximization can create positive effect which helps to maximize the price of stock, Will Profit Maximization Always Result in Stock Price Maximization. Thanks for this post. I am also currently a student of JU IBA.